We’ve been writing this MMO update article for a few months shy of a year now and coming up with intro paragraphs for them is getting ever more difficult. How do we continue to lead into all the MMO happenings and be unique every time? Do not fret because we’ll push forward and deliver you with the latest and greats MMO news going on around the digital world. At this point you’re figuring why we’re still wasting your time so let’s get on with it shall we? 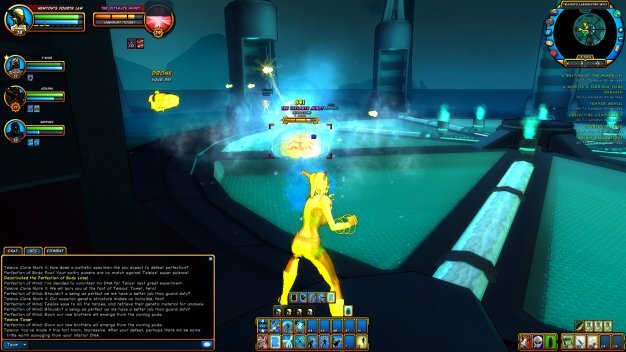 This week has been a pretty good week for the fans looking forward to Star Trek Online as the gameplay video released this week brought deep insight into how the game in closed beta is shaping up. The ship combat takes the front stage as we see federation ships taking on enemy ships of many flavors. The space battles look like something straight out of one of the modern TV series with tons of quality explosions. From what we get to see in this video it’s looking like the ship combat is going to be intense and full of fantastic visuals. If it only improves from this point forward, we’re looking at a incredible experience for Star Trek fans. It looks as though Cryptic took the best parts of EVE Online and mashed them up with parts of other style of MMO games. We get a glimpse of the out of ship portions of the game and some peeks into inventory. Both the ship combat UI and the other UI parts look slick and functional while retaining a Star Trek feel. One thing we notice is that there seems to be a place holder font left over from Champions Online which makes the UI seem odd sporting a comic book style font. Other than that one glaring flaw we’re pretty excited to how the game is shaping up. 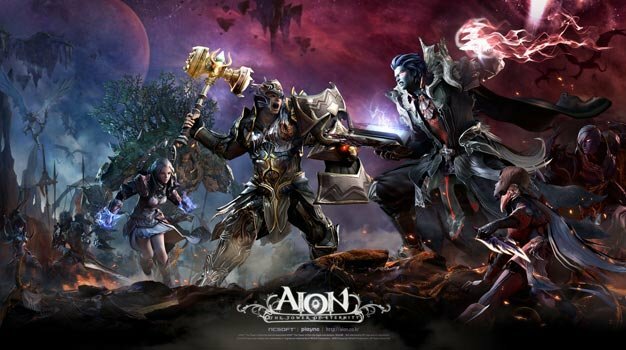 The much anticipated or controversial 1.5.1patch for Aion depending on what player you ask has been released this week. For players who haven’t had the pleasure to get their character the level 50 cap, you’ll be getting better experience rewards from some of your quests. This and many of the other changes that came with this patch have been welcome and will benefit a lot of players. However there are a couple of things that players don’t like or don’t feel have received enough attention. One of the big problems with the EU and North American release of Aion is a game crippling crashing bug caused from the CrySystem.dll and overall general performance problems. While the CrySystem.dll error as been addressed somewhat and according to the patch notes “should significantly cut down” the amount of crashing caused by it, some players feel that this issue has been largely ignored. Time will be final decider on whether or the latest fix will be the final fix. You can check out the full patch notes at the official Aion website. Roper also talked about the game’s future and what is coming down the line for the game. The most exciting thing on the horizon is the addition of a lair where players will finally meet their Nemesis. He didn’t reveal too much regarding what the Nemesis system will bring, but did reveal that they’ll be releasing a teaser trailer pretty soon so keep your eye’s peeled for that. Speaking of Champions Online, check out these fancy new costume pieces. Sell Darkfall to your friends and get some interesting benefits. Buy Fallen Earth and you get a awesome pimp hat. The Star Trek Online website gets a beautification update.